Find out about the best things to do in Guilin. Planning a trip to China and don't know where to start? 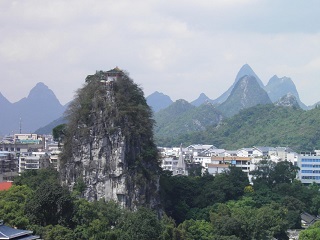 Find out more about some of top things to do in Guilin with Wendy Wei Tours' Guilin travel guide. We detail the best things to do in Guilin including the Reed Flute Cave, Elephant Trunk Hill, Fubo Hill, Solitary Beauty Peak, Yao Mountain and other Guilin attractions. Find out more about Guilin attractions outlined below. The list below is a number of the best Guilin attractions & things to do in Guilin - to find out more about each attraction, click on the corresponding link. 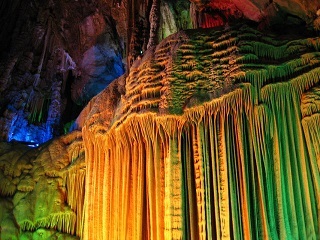 ​Would you like to know why several former US presidents had spoken highly of the Reed Flute Cave after visiting it? It features its own unique charm, which some consider to be distinct from any other attractions in the world! ​Have you visited a hill standing in the middle of a river in the center of a city before? How about one shapred like an Elephant? 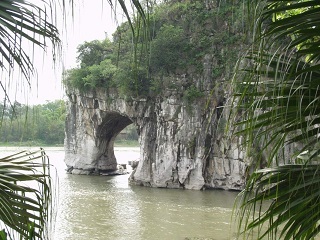 In Guilin, there is such a hill - the 300 million year old Elephant Trunk Hill. It looks just like an elephant drinking water from the Li River! ​Want to enjoy the panoramatic views of Guilin City? Fubo Hill is an ideal place for you! It offers a viewpoint platform where you can appreciate the amazing view of the entier city of Guilin. ​Do you want to enjoy the feeling of being a king atop the city? Standing in the heart of the city, Solitary Beauty Peak (in the Jingjiang Princes’ Palace) offers you a great chance to have that feeling. 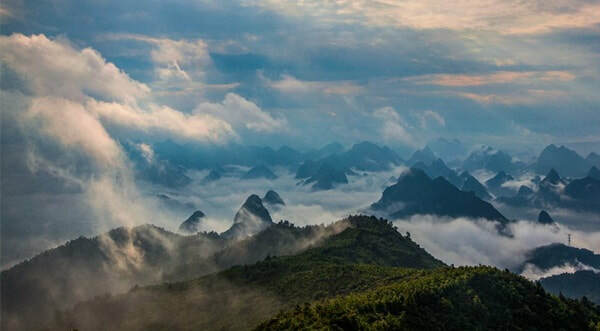 ​Situated in the outskirts of Guilin City, Yao Mountain is perfect for viewing the stunning sunrise on clear days, and the clouds after rain. It offers four totally different views across spring, summer, autumn and winter. ​Seven Star Park is located 1.5 kilometers from the center of Guilin City. Seven Star Park offers you a great place for leisure to refresh yourself after a long journey - in summer, sit on the bench under the tree and enjoy sunshine on the lawn in winter. ​Four Lakes Cruise is a night cruise that allows you to feel the unique charm of Guilin on the water. A cruise boat takes you through the four lakes surrounded with attractive scenery in distinctive styles in the city. Combining the classical ballet and acrobatics, Dreamlike Li River Show is one of the best shows about the life of locals who live along the Li River. Combining ballet with a unique local twist! ​Interested in experiencing local shopping in Guilin? Zhengyang Walking Street is a great destination for shopping. A variety of boutiques and restaurants thousands of locals and tourists visit every day stand on either side of the street. ​Want to meet the need of your stomach in Guilin? Shangshui Snack Street in Guilin is a paradise for foodies. You can try different food and drink there, including local cuisine and other food originating from other places. ​If you are interested in a historical and cultural old town, Daxu Old Town is a must-visit in Guilin. 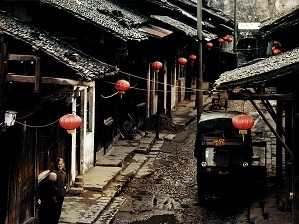 Originally built in 200 AD, it offers a 2 kilometer-long old street with old houses from the Ming and Qing dynasties. The Flying Tigers Museum is a museum located on the outskirts of Guilin City providing an interesting museum detailing the Flying Tigers' role and assistance during the war in Guilin. ​With more than 100 peaks in the park, Bajiaozhai National Park offers the most beautiful Danxia landforms throughout Guilin and Ziyuan and even China to admire - hiking around the peaks, walking on a plank road built or carved on the cliff and enjoying the stunning sunrise, clouds and fogs. ​Welcome to Jiangtou Village! With more than 180 houses 60% of which are built in black bricks and grey tiles in Ming (1368 - 1644) and Qing (1644 - 1911) Dynasties stand at the 800-years-old Jiangtou Village Jiuwu for ages.